-30 x F-16 Block 52+ Advanced specially armed with AIM-120 C7 and AGM-154C JSOW (used against soft/hard land targets and surface ships). Include Conformal Tanks (CFT) for extended range. Equiped with AIM-2000 Iris-T and JHCMS helmet for high off-boresight WVR engagements. Fully Link-16 capable and thus directly communicating and exchanging data with EMB-145H Erieye AEW&C aircraft. -55 x F-16 Block 52+ mainly armed with AIM-120 C5/7, GBU-31 JDAM, AGM -65 G2 Maverick (capable of destroying Fast Attack Craft ships and general land strike) and EP-50 Enchanced Paveway II (general strike missions). Include Conformal Tanks (CFT) for extended range. Equiped with AIM-2000 Iris-T and JHMCS helmet for high off-boresight WVR engagements. IDM modem capable exchanging information inside a COMAO of same version aircraft. -38 x F-16 Block 50 armed with AGM-88B HARM for SEAD mission and GBU-12/24 for general Strike missions. These aircrafts lack CFT tanks and JHMCS helmets. -32 x F-16 Block 30 armed with AIM-120B AMRAAM and GBU-12/24. These aircrafts lack CFT tanks and JHCMS helmets. The above loadout configurations are indicative. Latest block 52+ and 52+ Advanced are compatible with previous generation weapons like AIM-120B Amraam and GBU-10/12/16 laser guided bombs and AG-88B HARM. But the same doesn’t occur for example for equipping an F-16 Block 50 with JSOW-C stand-off weapons. There are three possible scenarios including two upgrade version paths for the whole fleet. In all scenarios the F-16 fleet will share the same inventory of weapons (it is easier to integrate all weapons to a fleet based at least on the F-16 Block 52+ version) and will be structurally upgraded. Upgrade the total of the F-16 fleet to the F-16 Viper level. The modifications include the installation of the APG-83 AESA which gives a 30% more range, wider field of view and 25% maintenance cost reduction. Also it inherits advanced Jam-Resistant capability due to its Active Electronically Scanned Antenna which could also be used as a limited offensive jammer (not sure if this capability will be blocked by the USA due to export control reasons). Also included are a new glass cockpit with a third Central Pedestal Diplay 6X8 (CPD) which can give a better situational awareness to the pilot (this display is compatible with Sniper XR and other new IRST pods), new APX-126 IFF mode 5 interoggator, Link 16, new MMC mission computer based on COTS (thus reducing future maintenance cost), digital JHMCS helmet adding more reliability and easier maintenance, new GPS/INS navigation system and fully compatible inventory (any aircraft could use any weapon, strangely even the French Magic II WVR missiles are compatible contributing to a bigger stock available in case of long-term warfare). Total cost of this option exceeds the 2 billion dollars for a total of 155 aircraft. Upgrade the whole fleet to the above Viper level but exclude the F-16 block 30 aircraft which will be upgraded to the F-16 M6 configuration retaining the equipment from F-16 Block 52+ Advanced but without Link 16. Thus this option costs around 1.4-1.6 billion dollars and it is the most probable keeping in mind the economic situation in Greece. Only 32 older Block 30 (almost 30 year old aircraft) will be correctly upgraded to the M6 configuration. These older but still capable aircraft will be mainly used for CAS/Air Interdiction, CAP and general Strike Support. There are thoughts about creating a TASMO capable F-16 M6 configuration squadron (formely Block 30) armed with Konsberg NSM missile. Also it retains funds for an optionally IRST pods which will be analysed later. 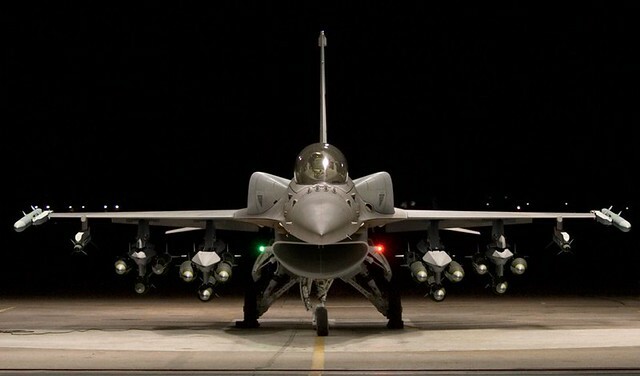 Upgrade only the 85 latest versions of the F-16 Block 52 and Block 52+ Advanced to the Viper Level and upgrade to a common M6 configuration the 70 block 50 and 30 versions. This option cost around 1.2 billion dollars and it is cheaper than the option 2. The drawback is that HAF in this option needs to support two main different versions of the F-16 fleet which leads to higher maintenance costs and bigger repair times. Also only the 85 F-16 V will be Link-16 capable and thus around 50% of the F-16 fleet will be incapable of incorporating effectively with the other version. Independently of which upgrade will be chosen, Hellenic Airforce have explicitily asked for additional add-ons (separate extra cost) which could be included in the total Viper upgrade program. Upgrade existing Lantirn pods to the ER level. This option gives 50% better reliability with 2/3 of the existing maintenance cost. Also it upgrades Lantirn’s sensors with a third generation FLIR thermal imagers, greatly enchancing strike capabilities. Aqcuisition of latest technologically advanced IRST pods like the Sniper XR or the Legion Pod (IRST 21) that have air-to-air combat functionalities. These pods might have the ability to effectively identify the turkish F-35s when entering the Greek Airspace. Due to the big thermal image of the F135 engine, OPFOR F-35s might be low observable in the X and S band frequency bands that most of the radars in Greek Inventory operate but not in the infared spectrum. A fact-based analysis between a F-16 Viper and an F-35 can be found in the following link (2025: Revenge of the Sultan). Each pod costs around 1-1.5 million dollars and thus a 100-150 million dollars fund would be needed to equip for example 100 aircraft. However, using pods will greatly severe the aerodynamic behavior of the aircraft in air-to-air combat and thus is not the best option. Also it is another thing to identify the target and other to aqcuire precise target aqcuisition data. Legion and Sniper XR rely on laser designator to aqcuire range data. This has a limitation of no more than 40 km. Thus an F-35 launching an Amraam or a Meteor from a greater distance might be able to evade an incoming retaliation attack from the Greek Vipers. The best option would be to include in a nose-mounted modification the IRST21 sensor or prefferably the far more capable Skyward (Selex ES Skyward-G) which will equip Grippen E/F. This system is based on the PIRATE IRST of the Eurofighter but is lighter and more advanced. It also uses a passive ranging (in some bibliography can be described as kinetic ranging, comparing two distinct infared target data in two close time-frames) algorithm thus being independent from range laser designators. Of course IRST actual perfomance data sheet (either Legion Pod or Skyward G) in most cases are NOT publicly disclosed. So only the high ranking officers of the Hellenic Airforce might have some in-depth understanding of the actual capabilities in air-to-air combat of the proposed IRST pods from Locheed Martin. HAF is more interested in Legion Pod than the Sniper XR which is mainly used for strike missions and is a previous generation system. The Skyward-G (from Selex) is probaly not an option through an American Locheed Martin led upgrade program but it is noted for future reference in case Greek General Airforce Staff doesn’t implement in big numbers the proposed pods from LM. 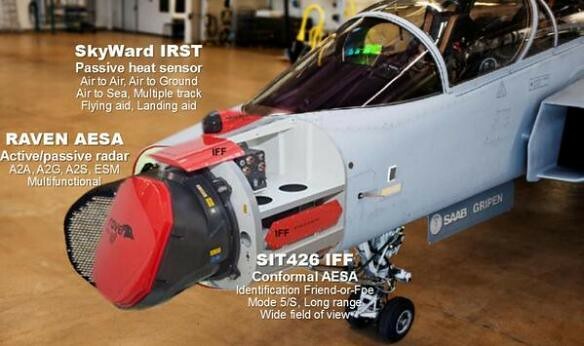 There is no official Letter of Information (from the Greek side) for the Skyward-G IRST system but we condider that inefficiencies in BVR air-to-air combat of the Legion Pod and Sniper XR will lead Hellenic Airforce to examine other options except Locheed Martin’s products. 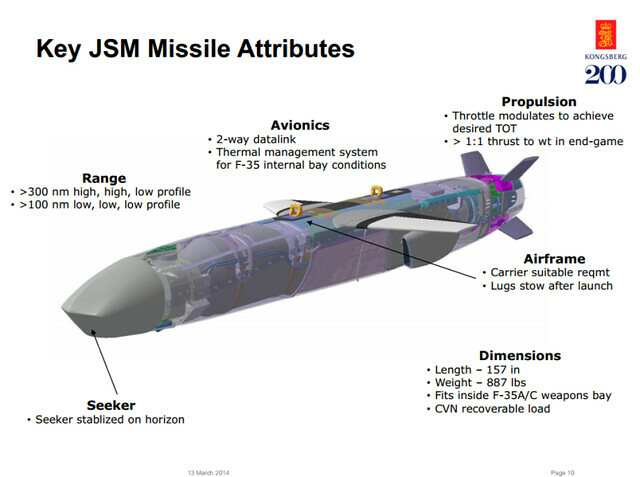 Including a Konsberg JSM/NSM anti-ship missile firing capability for the whole F-16 Viper fleet. This option would include a cost for compatibility test of the NSM missile along with aqcuisition cost of around 40-60 missiles to be used in possible TASMO missions. Considering that each missile costs around 3 million dollar a total sum of 200-300 million dollars should be expected, including the modifications in the F-16 fleet. The capability for the whole fleet to be able to use such kind of weapon might maximize HAFs ability for massive naval strikes. 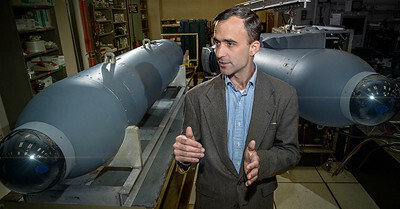 Considering that any unfriendly navy in the area lacks any advanced AAW vessel, the big range of the JSM (almost 300km) and that current radar (ship based) technology has many limitations against a saturated attack of dozens of those sea-skimming missiles this option adds Access-Denial capabilities to the HAF. The advanced IIR sensor of JSM ensures immunity to radar jamming and very high resilience against IIR decoys. Current TASMO operations are taken by 19 Mirage 2000 EGM/BGM armed with 37 AM-39 Exocet missiles. The missiles even if extremely deadly lack the range of the JSM and also the platform aircraft that operates them in less than a decade will be retired. Considering that the 25 Mirage 2000-5 Mk2 (even if upgraded to use AM-39 Exocet) has a very special role of strategic strike with the Scalp -EG missile (current inventory of 100+ missiles is enough for 4 strike missions for every aircraft). Also upgrading current fleet of Mirage 2000 requires a huge amount of money per aircraft (40-50 million dollars) compared with an average of 10-15 million dollars for the F-16 Vipers. Even when including the aqcuisition cost of 40 new missiles the total cost is near one third of conducting a pricey upgrade Mirage 2000 AUP program. The creation of an F-16 Viper squadron that exchange data through the link 16 with the EMB-145 AEW & C and the P-3B AUP maritime aircraft is also considered a plus. The extended range of the JSM missile along with the bigger range of a F-16 CFT aircraft helps HAF to effectively control Eastern Meditteranean sea and relieving the burden of the year-by-year smaller Greek Navy. The future naval TASMO F-16 Vipers can also assure the Cypriot State that any Opposing force in the area that threatens the oil-gas reserves south of Cyprus can be dealt in short time with precision. The F-16 upgrade program will benefit from the technology advancements that occured the latest years (Legion pod, APG-83 SABR, MIDS link 16, COTS mission computer) and the rapid reduction in upgrade cost per aircraft. Considering the agility of legacy F-16 aircraft along with new sensors , sensor fusion and the integration to any link 16 capable network, the new reborn Greek F-16 Vipers will be more capable and lethal than ever. ← Previous Post Τουρκία η χώρα που γιορτάζει τα εγκλήματα κατά της ανθρωπότητας! Next Post → «Έχουμε πόλεμο» …Κατάργησαν και επίσημα τα «ΜΟΕ***» οι τούρκοι!